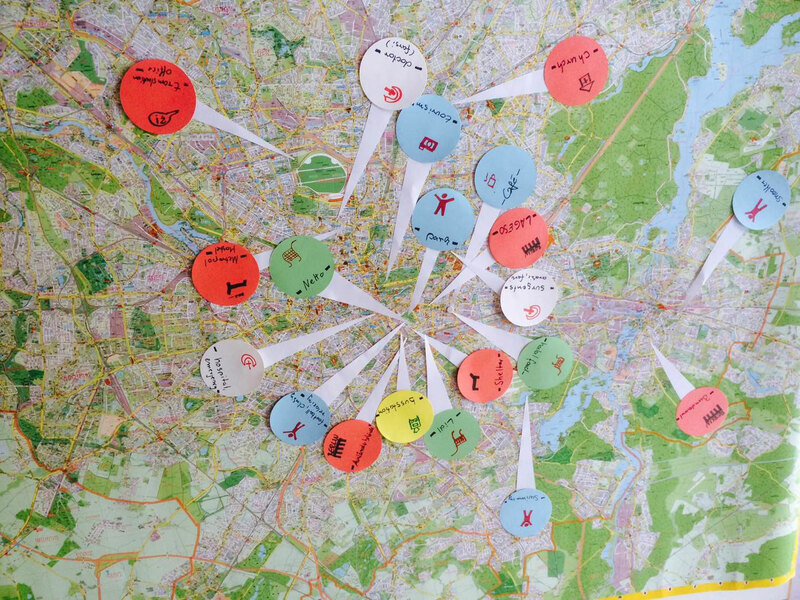 Refugees map Berlin based on their experiences: the Afghan urban planner Hamidullah Ehrari, the Syrian merchant Alhadi Aldebs, the Afghan translator Mohammad Yari and the Iranian bioengineer Farhad Ramazanali. These residents of Haus Leo are the core group who compile information relevant to refuge seekers using methods of critical geography. The results can be loaded onto smartphones and offer insight into the experience of those who are new to the city. Haus Leo is a residence for refugees in Berlin-Moabit.